at the DoE American Crocodile (Photo by Tomás Castelazo/Creative Commons via Wikimedia)believe that it had been at sea for quite some time. There was a time long ago, as evidenced in the fossil record, when crocodiles were common in the Cayman Islands. However, crocodiles that show up there now are believed to straggle in from Cuba or Jamaica. The four-foot-long visitor was tagged for future identification and then released on a remote part of the island. 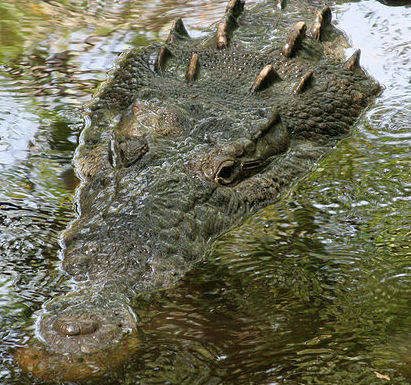 With the lack of crocodile amenities (no mating opportunities and little food), it is unlikely that the creature will extend his stay for long. While several crocs have shown up in Cayman over the past few years, none seem compelled to stay long.